Moving? Downsizing? Its a Good Time to Check Your Artwork! My parents are moving across the country to the great Pacific Northwest, and downsizing while they’re at it. While going through their art, we discovered trouble was afoot. 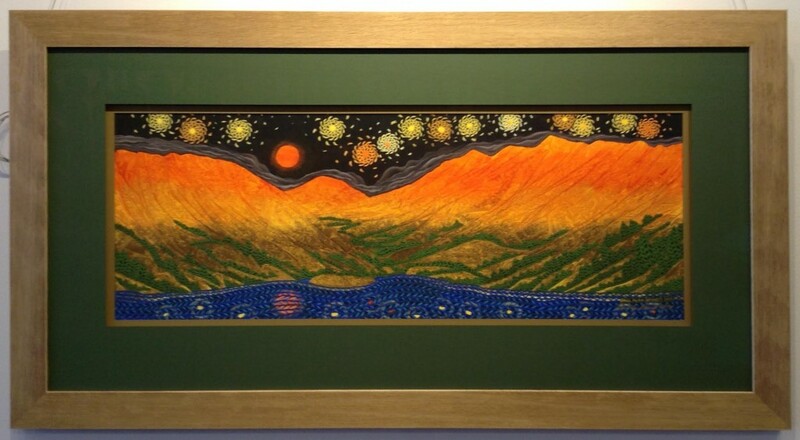 Although much of my parents’ art was professionally framed years ago, we found mountings that had failed, frames that were nicked and scratched, and no UV protection on anything. Acid in the framing materials had degraded the images and we could see fading from light exposure. The damage had happened so slowly, over time, they hadn’t noticed the changes before. The condition of each piece: If a piece has deteriorated, can it be saved? Is it worth reframing if necessary? The value of each piece: Is it worth money? Irreplaceable for sentimental reasons? Important for other reasons? How much you still like each piece: Has it always been a favorite or was it a gift you never really cared for? Will you like it as much in your new home? Or will it seem out of place and bothersome? The amount of space in your new home: Can you make a place for each piece? 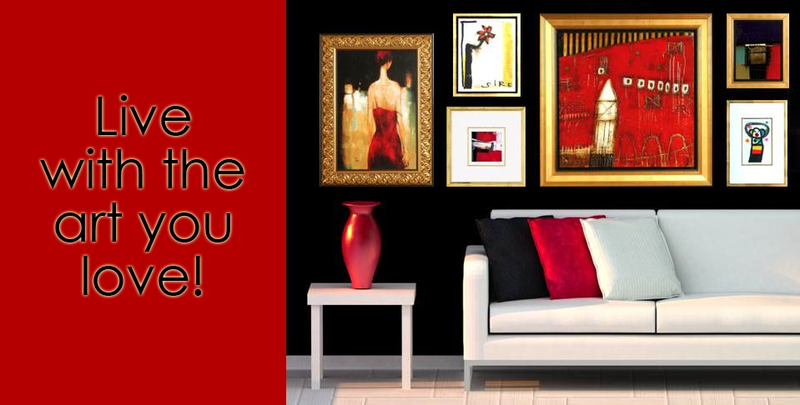 Or is it time to pass down some of the art you like, but don’t have room for? Once you have pared down your collection, evaluate the art you are keeping for signs of needed repairs. 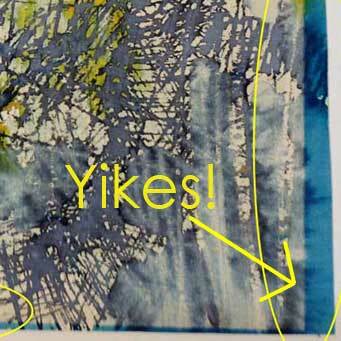 Older Art: To Reframe or Not to Reframe? “Can we reuse the materials — mats, glass, etc?” Honestly, if you’re serious about preserving your artwork, the answer is no. Until recently, framing materials weren’t up to the job of protecting art from light or acid, so anything framed just 20 years ago or more is being destroyed by the frame that was intended to protect it. Modern materials are acid free and we have now have glass that will filter 99% of UV rays. “It’s been framed this way for 40 years and it looks fine, why not leave it alone?” I can almost guarantee your older art is not fine. 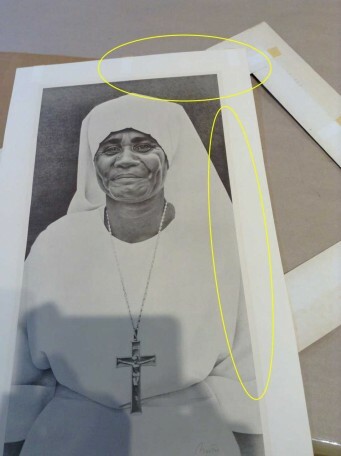 The framing materials are damaging it and the image has likely faded significantly. However, you won’t be able to see the damage–or know what to do about it–until you take the art out of it’s frame. One piece in my parents’ collection had been in the basement for 30 or more years, but Mom really liked it and wanted to keep it. The frame and mats still looked pretty good and the glass, while a bit dirty, was in good condition. The image, also one of my favorites, looked fine until we took it out of the frame. Suddenly, I understood why it had a dark teal linen accent mat! The blues had faded significantly — some almost to white. Interestingly, the yellows didn’t seem to have faded as much, but overall, there was a lot of UV damage. Bringing new life to this piece required all new materials, not just to protect the image, but to complement the piece in its current condition. 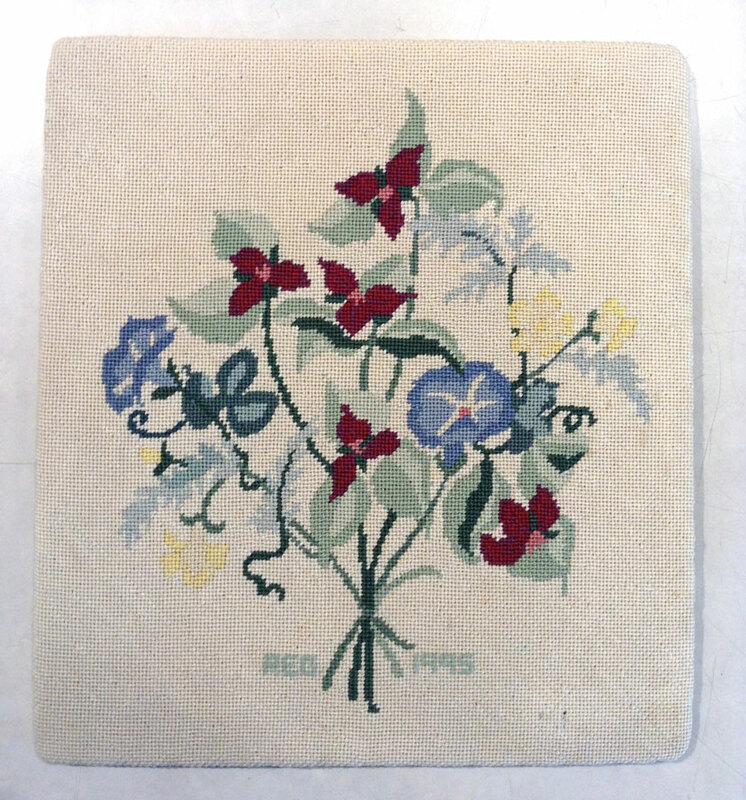 I’m sure the old mat looked great before the art faded, but it looked strange next to the image as it is now. 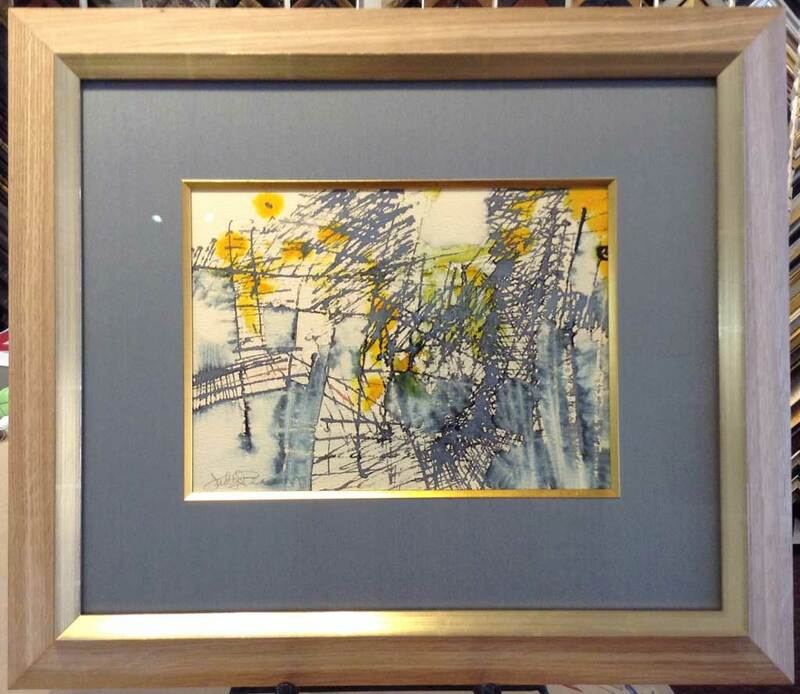 Because this was painted in the 1960’s, we decided to be true to its heritage and picked a really cool mid-century inspired frame and fillet, paired with tatami silk mat the complements the main color in the painting. Your best bet is to drop off your artwork right before your move so it’s safe during the move and ready to be hung when your new home is in order. We’re open Tuesday – Saturday, 10 am – 6 pm, at 7808 SW Capitol Hwy, Portland, OR 97219. Time and the environment are the mortal enemies of your artwork. 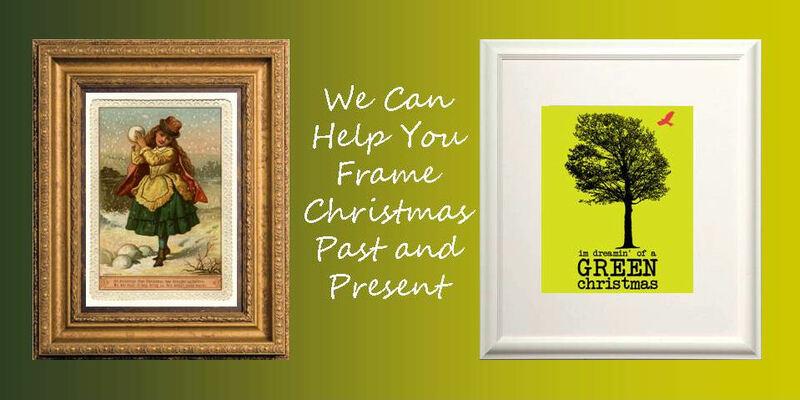 Preservation is one of the most important reasons to frame pictures and heirlooms. But not all framing is good framing. We find frequently, even with pieces that were “professionally” framed, that the materials used — mats, backing boards, glass — and the mounting methods employed have actually been damaging the artwork. 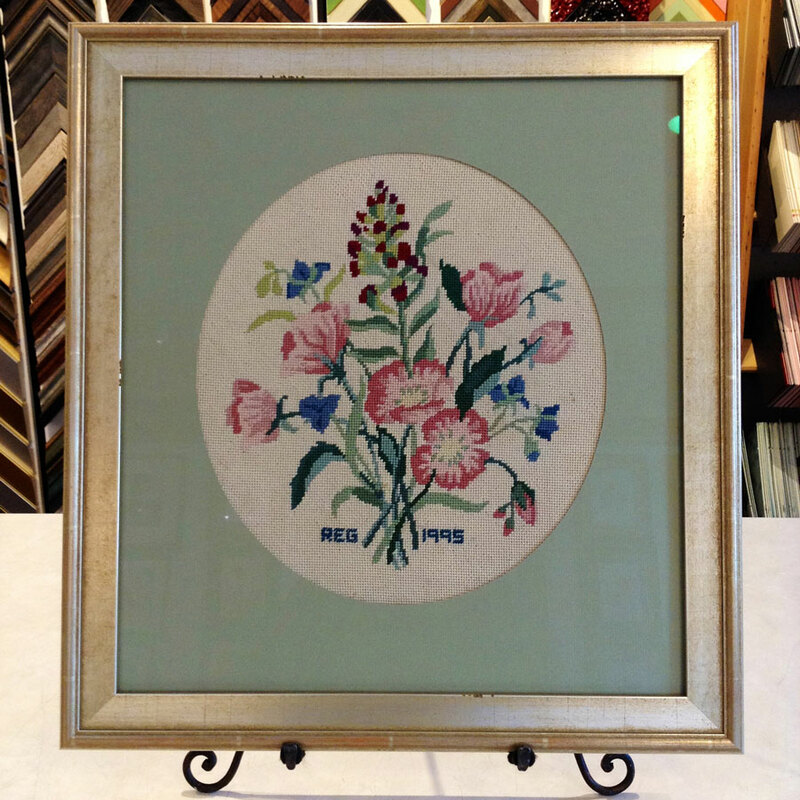 Recently, a customer brought in an item that needed reframing because the glass had broken. 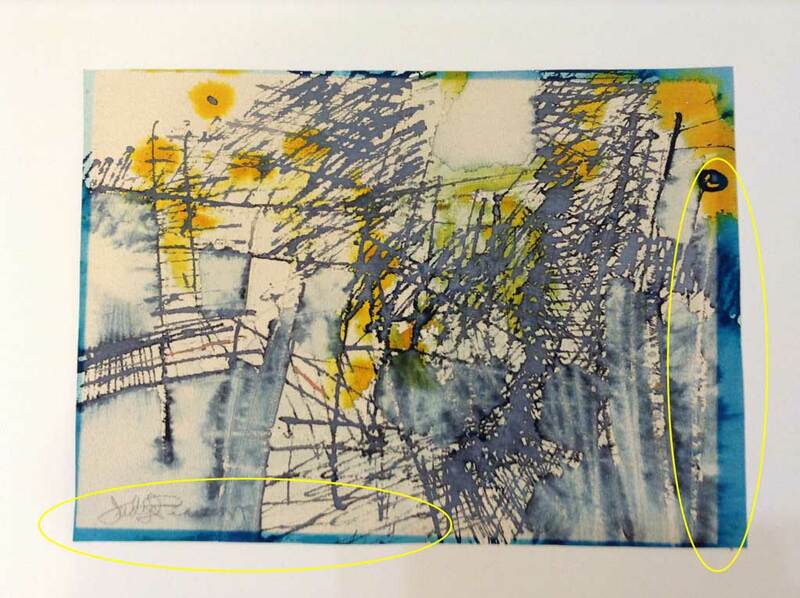 This striking, detailed lithograph was already deteriorating due to substandard framing materials. Standard glass without UV protection had been used and the image showed signs of fading. Long-term, all this damage was going to get much worse. 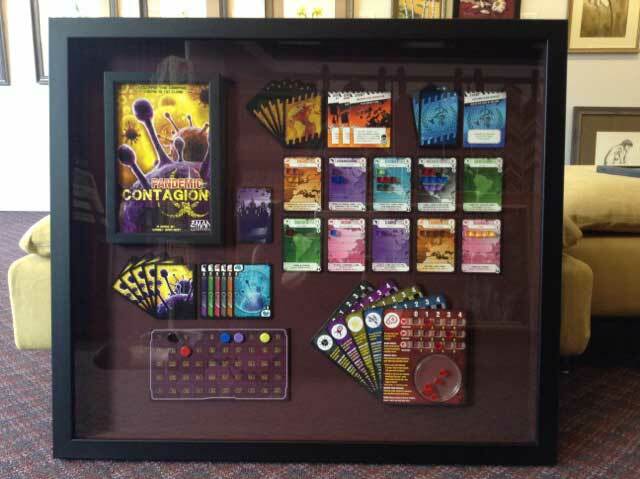 We consulted with our client about the materials and the damage to the frame itself. Wisely, the client chose to preserve this beautiful lithograph with conservation methods and materials, stopping any further degradation in its tracks. The results were worth it. This is just one example of the many pieces we have had to rescue from it’s own frame. You’d be surprised at the materials that get used, especially when the art wasn’t framed by a professional knowledgeable in conservation practices. 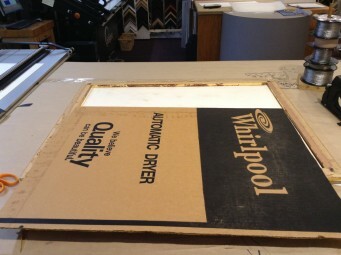 We even had one picture come in and found the backing board was cardboard from an old Whirlpool dryer box. Whirlpool may use fine cardboard to protect products during shipping, but corrugated cardboard is highly acidic. That dryer box started destroying the artwork the minute the two were sandwiched together in a frame. Older artwork, even if custom framed, may be at substantial risk as well. Just a few decades ago, the conservation materials used today didn’t exist. It was not unusual for framers to use masking tape, regular cardboard, and untreated mats, which are all highly acidic. They didn’t have much choice, frankly. So, if a piece is over 30 years old and you want it to last for many more decades, please bring it in for a check up. No really, it was a Whirlpool dryer box! 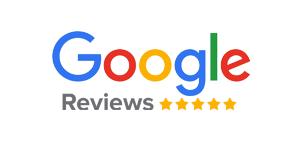 Our clients keep coming back because they know it’s what’s inside that counts and they know they can count on us not to cut corners with materials or craftsmanship. To conserve your fine artwork, heirlooms, or collectibles, bring them to our shop at 7808 SW Capitol Hwy, Portland, OR 97219. We’re open Tuesday – Saturday, 10 am – 6 pm, or by appointment. P.S. These work for dens, game rooms, and other masculine spaces too! You were there? Get out those posters and get them up on the wall! 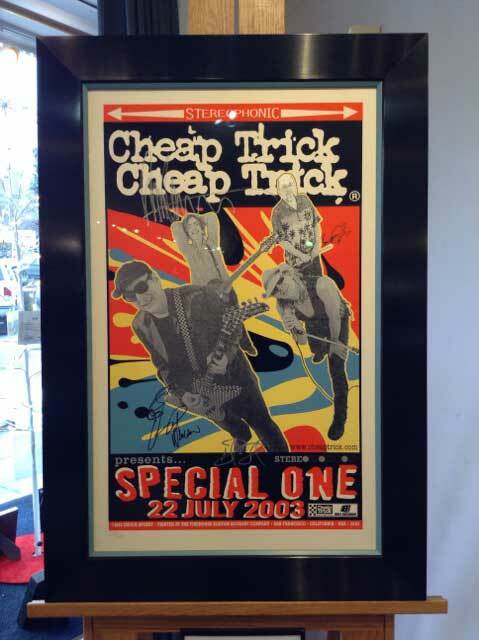 We can also frame tickets, albums, autographed napkins, and other souvenirs. Still have the antique hammer Grandpa gave you when he taught you woodworking? Your Dad’s metalworking gear? We have shadowboxes that will not only display your treasures, but preserve them so you can pass them down to your sons and grandsons. You earned those bragging rights, we can help you turn your medals, trophies, and other awards into handsome conversation pieces. Whatever your hobby or favorite activity, there is a way to create a display that will make your man cave more personal — more of a reflection of you. Call or stop by, even if you think your idea is kind of “out there,” and we’ll brainstorm together. A nicely framed vintage map is at home anywhere and perfect for guys who love to travel, anybody who has a special relationship to a specific part of the world, and men who just plain love maps. It’s the kind of thing Mark Twain probably had in his billiards room, don’t you think? 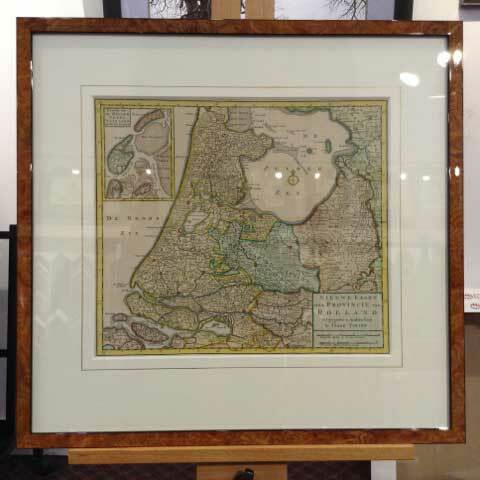 Old maps need appropriate framing to keep them from degrading, though. No worries, we can help you with that. 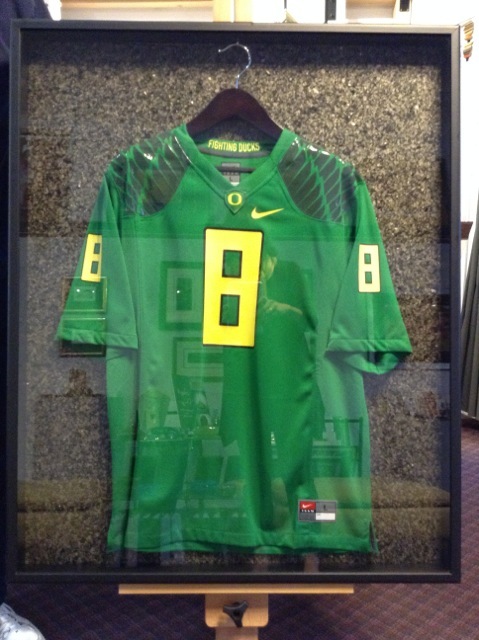 Whether you played the game or have been your team’s biggest fan since boyhood, there are lots of cool ways to display — and protect — sports memorabilia. Let’s talk. Ready to upgrade your manly sanctuary? Call or stop by today. Bring your collectibles and keepsakes to Village Frame & Gallery any Tuesday through Saturday from 10 am – 6 pm, or by appointment. 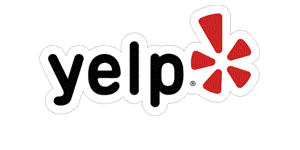 We are located at 7808 SW Capitol Hwy, Portland, OR 97219. Want to call first? Dial 503-245-8001. 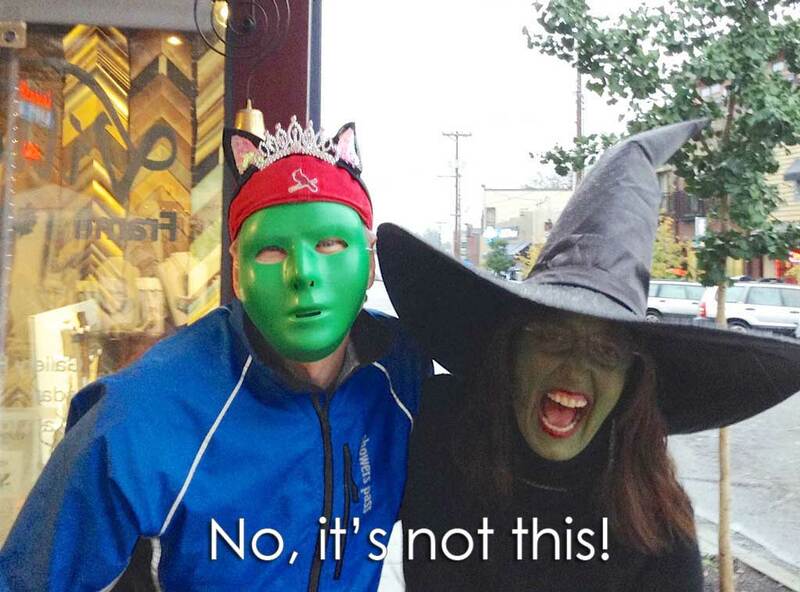 Seen in Multnomah Village – SCARY! Portlanders, is this danger lurking in your home? Our neighborhood is generally a safe, friendly place, but a couple of weeks, we spotted something truly scary that everybody needs to become aware of before somebody gets hurt. 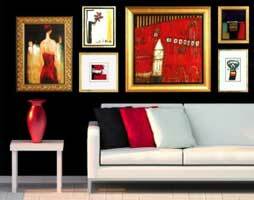 Heavy framed mirrors and artwork need heavy-duty hardware to keep the artwork and its owners safe. The hanger at the top of this picture was removed from artwork framed at an inexpensive home decor store. 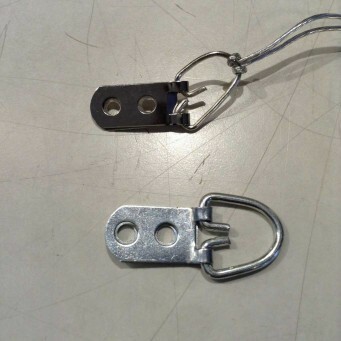 The hanger is bent from the weight of the piece and threatened to release it’s hold. 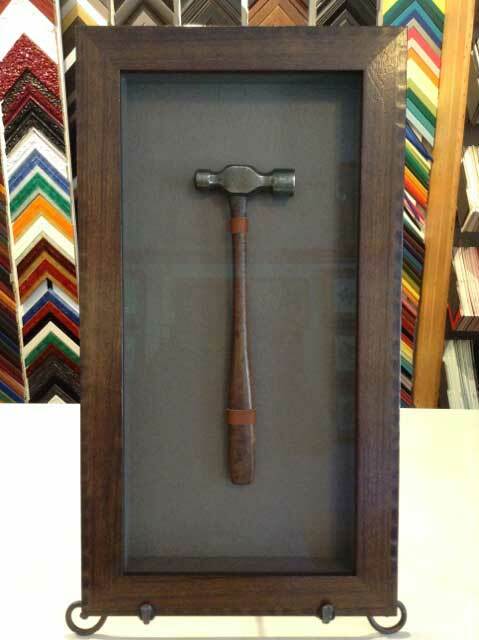 The hanger at the bottom is what an independent professional framer, like Village Frame & Gallery, uses for a heavy piece. Cheap hardware, nail-in picture hooks, and large-thread drywall anchors, can fail under loads greater than 25 pounds. Imagine if this picture was hung over a bed! Or a child bumped the wall underneath it! Sure, we’re having some fun with this issue, but it’s no laughing matter when a heavy item comes crashing down onto someone. This is one area where quality absolutely matters. Please, check your artwork and mirrors today. 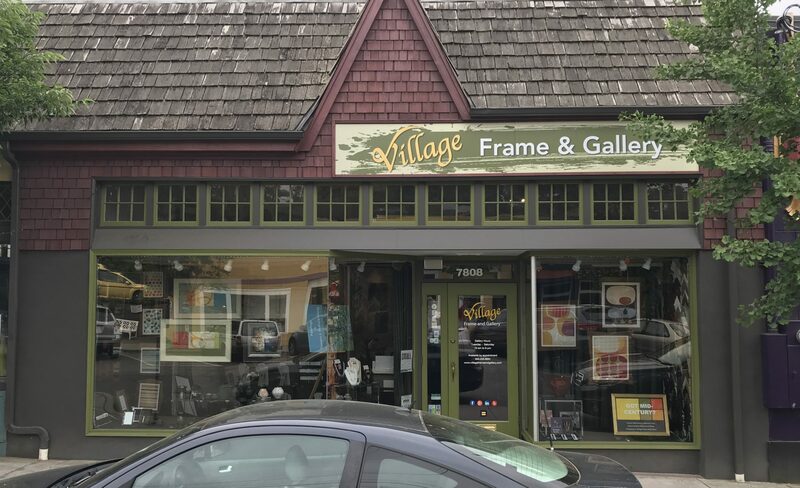 If you see signs of hardware failure — the metal components are stretched, fasteners are pulling out, or anything else that looks suspicious — take down the item right away and bring it to Village Frame & Gallery. 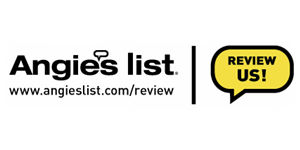 We will evaluate the materials used and make recommendations for hanging your heavy item securely. 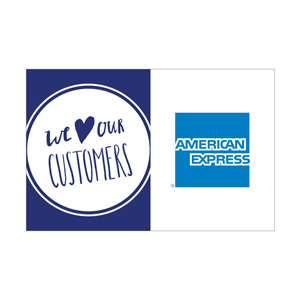 We have appropriate hardware and installation techniques for any kind of display you can imagine, on any surface. Nobody wants to imagine the damage that might be caused by falling art! 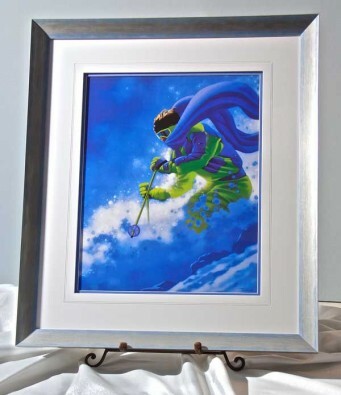 If you want something framed for the holidays, bring it in today. Superior craftsmanship takes time, so whether you want to give gifts of art or add a piece to your holiday decor, this is the best time to get started. 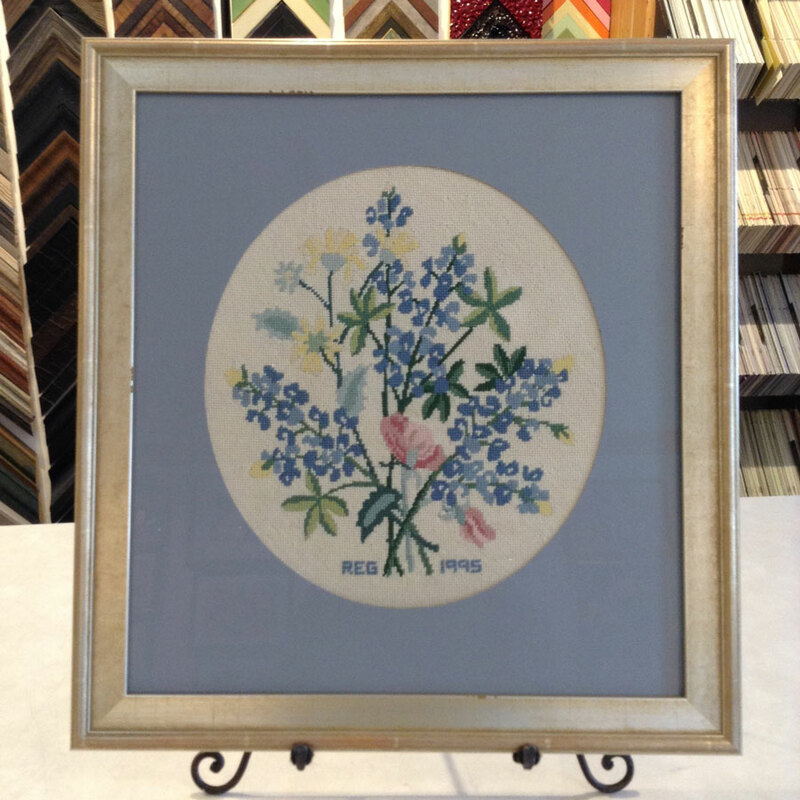 Drop off your artwork, photographs, keepsakes, and needlework right away to ensure they will be framed and ready in plenty of time. 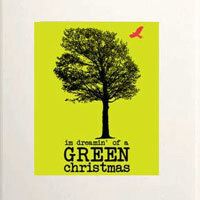 Need some inspiration or the perfect gift for an art lover? Village Frame & Gallery can help with that too. See you soon! … and all the other holidays too! 10 am – 6 pm at 7808 SW Capitol Hwy, Portland, OR 97219. Skip the tchotchke, go for the good stuff — art! This photo was taken with a smartphone by our client, Susie. No kidding. 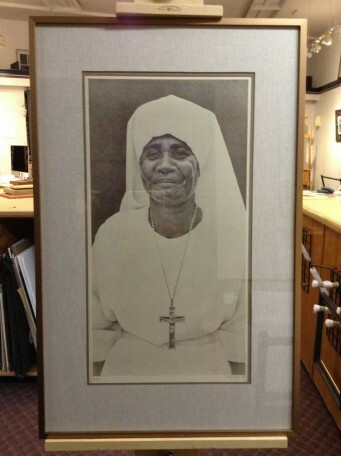 When she got home, Susie resized it to 22″ x 28″, taking care to not lose any image quality. She had it printed and brought it in to Village Frame & Gallery for custom framing. 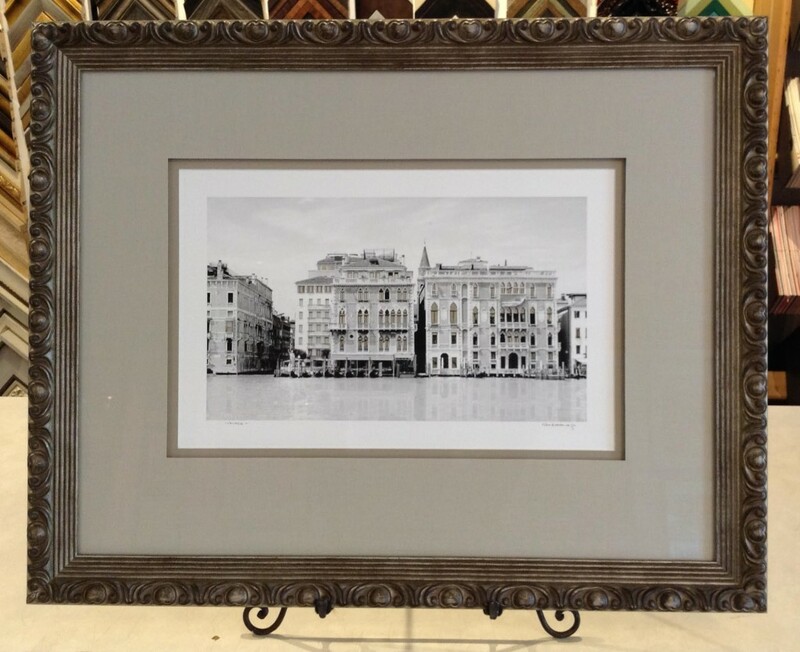 In this old, ornate mirror frame, it’s a gorgeous reminder of her trip to Italy. Not sure how to do the resizing or other post-processing? Make friends with a good print shop–the kind that works with fine artists and graphic designers. They will offer color correction and other post-processing services, plus printing on photo paper or canvas. 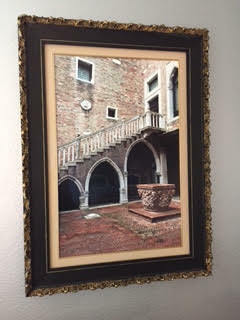 This is another photo from beautiful Venice, but this one was purchased from a street vendor. This colorful print was purchased during a stay at Mt. Hood. 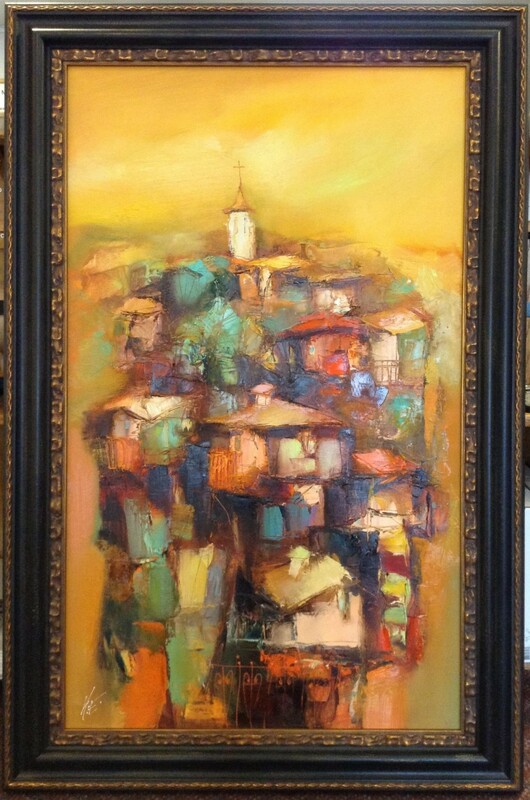 This painting was purchased in Europe. The canvas was rolled up for the trip home, then we restretched it and framed it. What did you collect this summer? We just heard there is a poster from Switzerland headed to the shop for framing and a friend mentioned a watercolor she bought from an artist on the beach in Mexico. What about you? 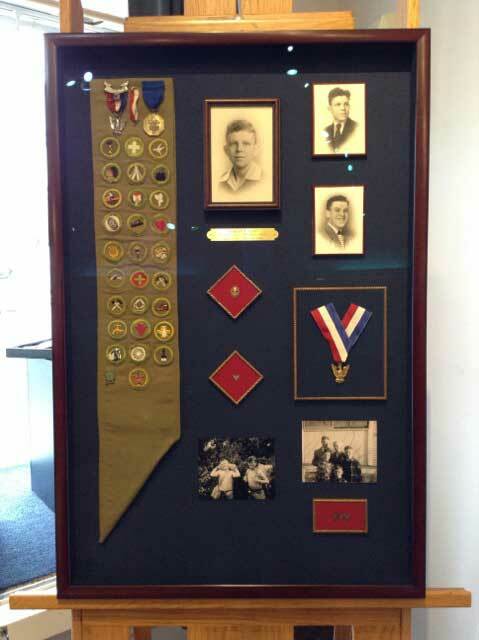 Have a memory to exhibit? Bring to the Gallery and let’s pick the perfect frame. This is going to be way better than a slideshow on Facebook or one of those spoon rests that says New York City! Are You Sitting on an Heirloom? A few months ago, a customer brought us six lovely hand-embroidered chair covers. Could we preserve them? She wanted to present them as gifts to her grandchildren. What a great idea! During the 16th century, embroidery became an essential skill for young ladies. Before marriage, girls embroidered samplers, which taught them letters, numbers, and stitches—all things a young lady needed to know when she married and became responsible for creating and maintaining clothing and linens for her household. For some women during those centuries, embroidery became a way of expressing themselves artistically while fulfilling their duties as a homemaker. Although every wife had a great deal of day-to-day sewing, some took time to incorporate decorative designs on clothes and household articles. By the 18th century, a talented embroiderer could get work sewing for her neighbors in exchange for money or goods. If you think of it, this “women’s work” is rather inspiring. 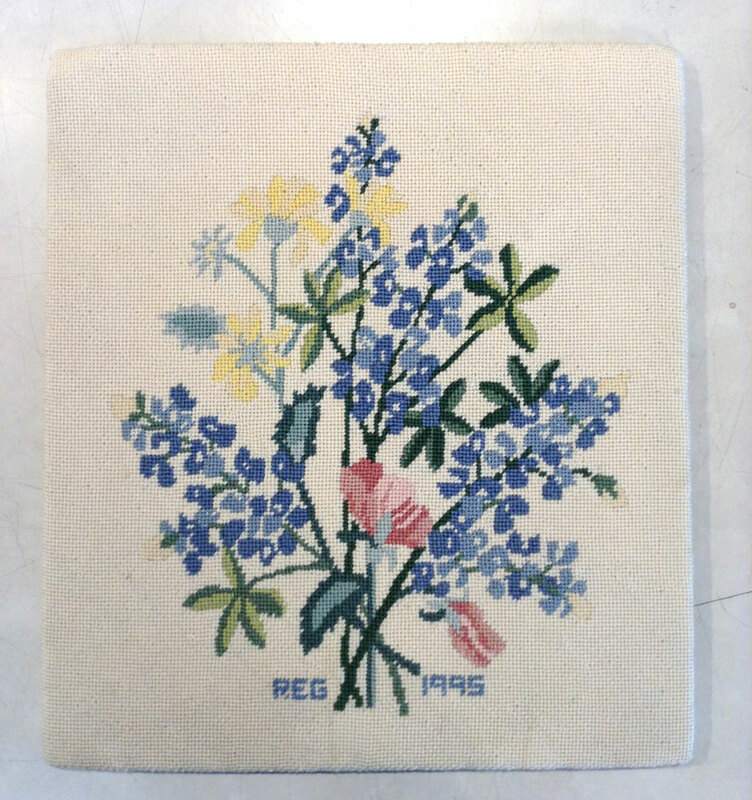 As they did in quilting, knitting, and other practical arts, through embroidery, women made the functional beautiful. Well into the middle of the last century, embroidery was a way for women earn a bit of income or stitch art into everyday life. You may have cushions, upholstery, or linens created by your grandmother or great-grandmother, that have borne witness to your family history for generations. Imagine how many times her needle passed in and out of that cloth … Can you picture her choosing a design? Deciding on colors? The many hours it took to complete each piece? Is It Time to Give Grandma’s Work a Place of Honor in Your Home? With proper preservation, chair covers can survive for generations. 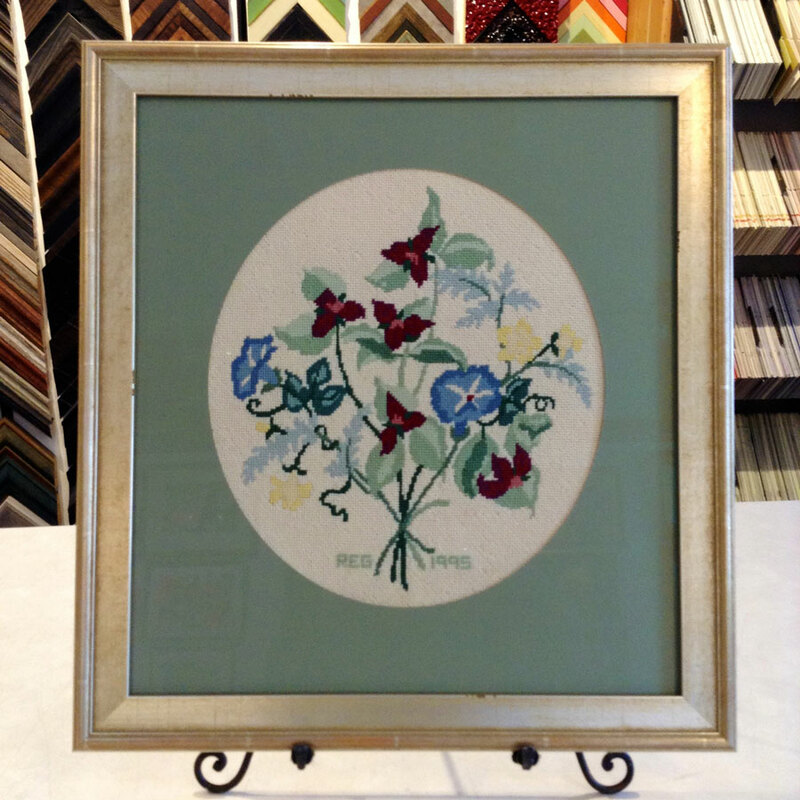 Long after the useful life of the chair is over, your family will be able to enjoy Grandma’s needlework—as art! Feeling inspired? 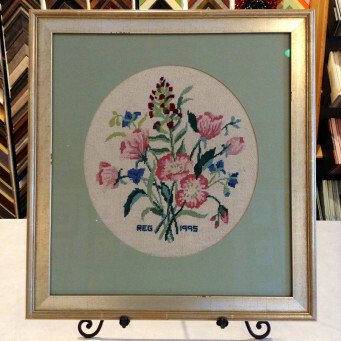 Bring your heirloom chair covers to Village Frame & Gallery for needlework conservation treatment and framing. We’re open Tuesday – Saturday, 10 am – 6 pm, at 7808 SW Capitol Hwy, Portland, OR 97219. 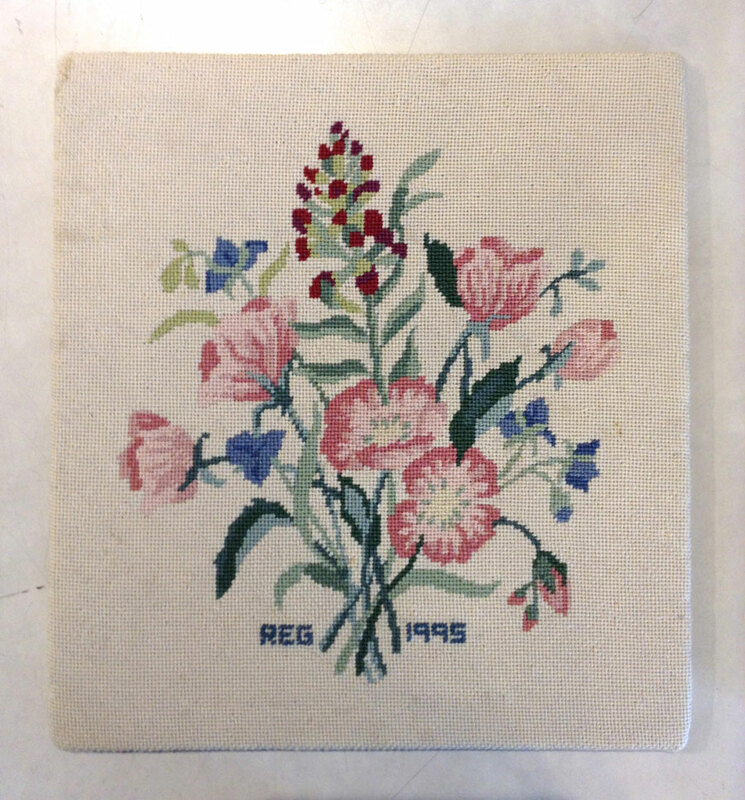 Various shops turn needlepoint into pillows; very few offer to frame them. Only one shop, in my opinion, does the latter as it should be done: Village Frame and Gallery. 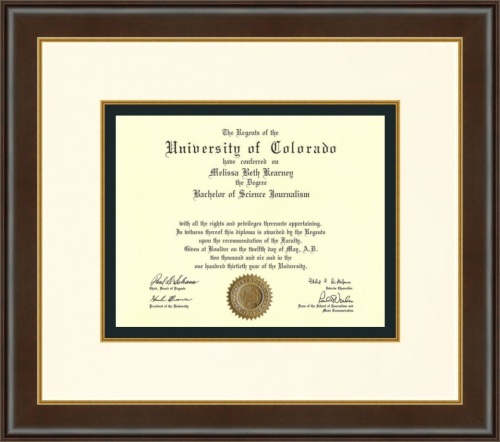 Their artful framing greatly enhances my work, through their time consuming, labor intensive blocking, their wide selection of exquisite frames and mats, plus the highest quality preservation glass. Their work is unequaled this side of a major museum. 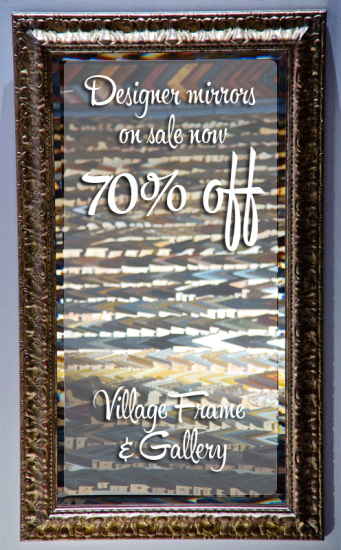 Village Frame & Gallery can help. 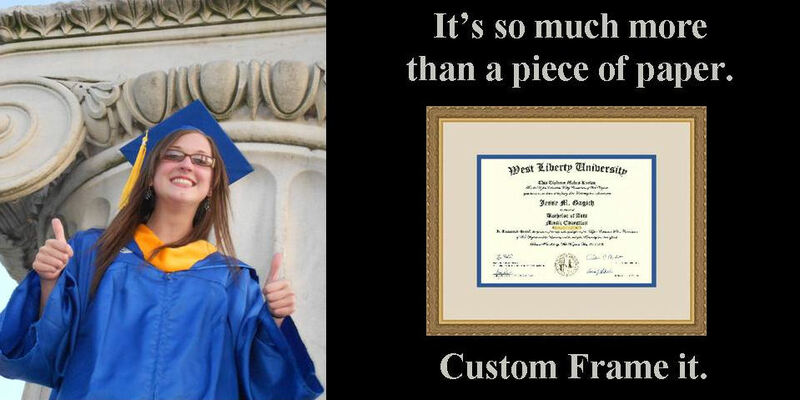 Stop by to purchase a gift certificate, or bring in your favorite graduate’s diploma.